SkillsUSA offers a variety of publications, merchandise and clothing to enhance your SkillsUSA program. Be sure to order materials early to allow time for shipping, especially when nearing competition time. Orders are generally shipped within 48 hours for in-stock merchandise. 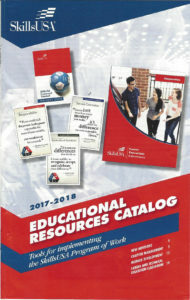 Order official SkillsUSA advisor and student materials, contest guides, DVDs, posters and more from the SkillsUSA Educational Resources Catalog. Call 800-321-8422 to order by phone. 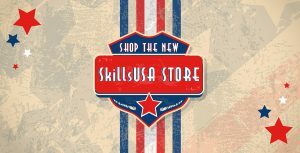 SkillsUSAStore.org is your one stop shop for official SkillsUSA-branded attire, competition uniforms, fashion apparel, gifts, products and awards. If you have need requests for special items or assistance in using the site, simply dial 800-401-1560, and our dedicated customer care team will be happy to assist you.